Tuberculosis (TB) is a serious infectious disease of the lungs that is usually caused by the bacterium Mycobacterium tuberculosis. Nearly one-third of the worlds population is currently infected with latent TB, and millions of individuals develop the active, potentially fatal form of the disease each year. The continuing emergence and spread of drug-resistant TB strains is one of the most difficult challenges facing control of the disease. 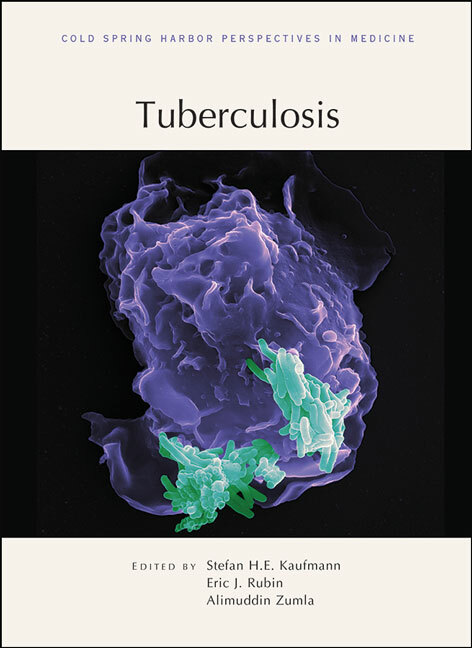 Written and edited by experts in the field, this collection from Cold Spring Harbor Perspectives in Medicine examines all aspects of M. tuberculosis biology, transmission, and infection, as well as ongoing strategies to treat and control it. Contributors explore the biological characteristics of M. tuberculosis, its complex interactions with the human immune system, and factors that influence the progression from latent to active TB disease (e.g., coinfection with HIV/AIDS). The clinical manifestations of TB, both pulmonary and extrapulmonary, are fully described and illustrated. This volume also includes discussions of recent advances in the development of diagnostics, drugs, and vaccines, as well as strategies for enhanced implementation of existing interventions. It is an essential reference for microbiologists, immunologists, pathologists, epidemiologists, and clinicians, and all who wish to understand and combat this global health burden.